Happy Tuesday! 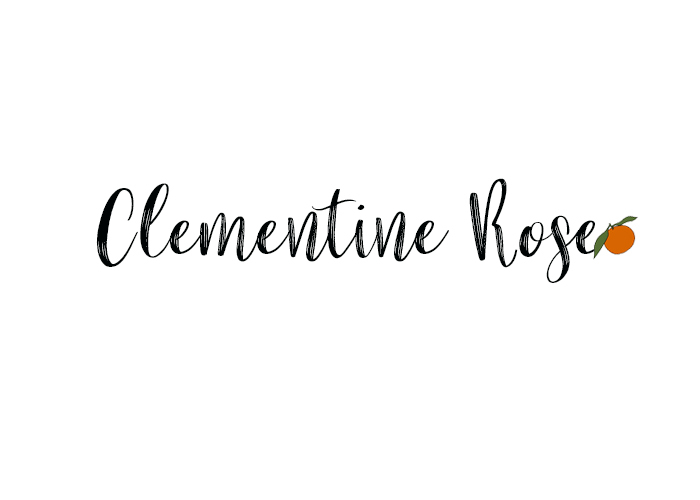 I know usually I like to do a little intro to my posts with a little bit about what I’ve been up to, but I am just super excited to get straight into this post! I want to start by firstly saying that what I am reviewing, I absolutely love so much and I personally think this is a brilliant thing to do. This definitely has to be one of my most favourite things I have received to review on my blog. And nope, I’m not just saying that! 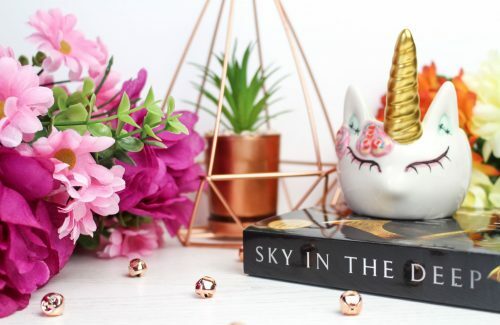 This post is my true 100% honest feelings about this product. 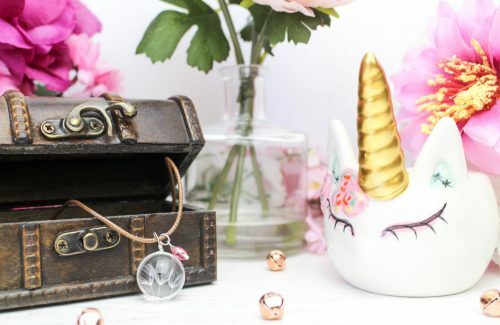 You want to know the best bit, it’s a monthly subscription box too that I feel is such a bargain price to have, especially for all the amazing things you get in it. 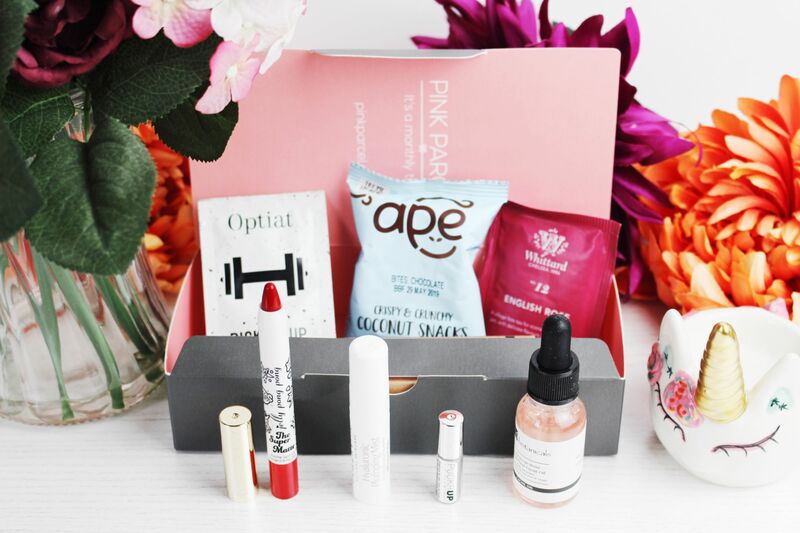 Thank you so much to Pink Parcel for sending me this truly amazing box full of goodies and monthly essentials. When It’s that time of the month again! I don’t know about you, but sometimes it just completely slips my mind to buy or stock up on those much needed sanitary pads for that time of the month! Then when it comes to that time of the month, I’m panicking and frantically searching around my room looking for some. 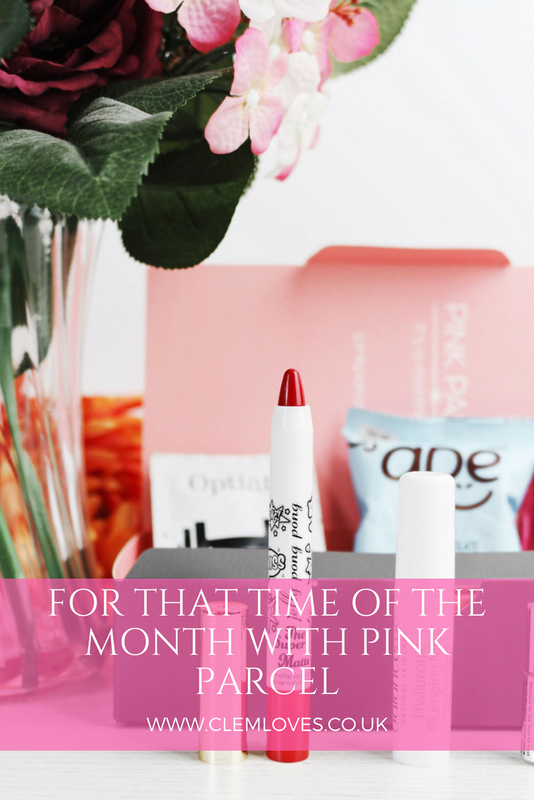 With this monthly subscription box from Pink Parcel, you don’t need to worry about that! You have all you need in this box plus some extra goodies. 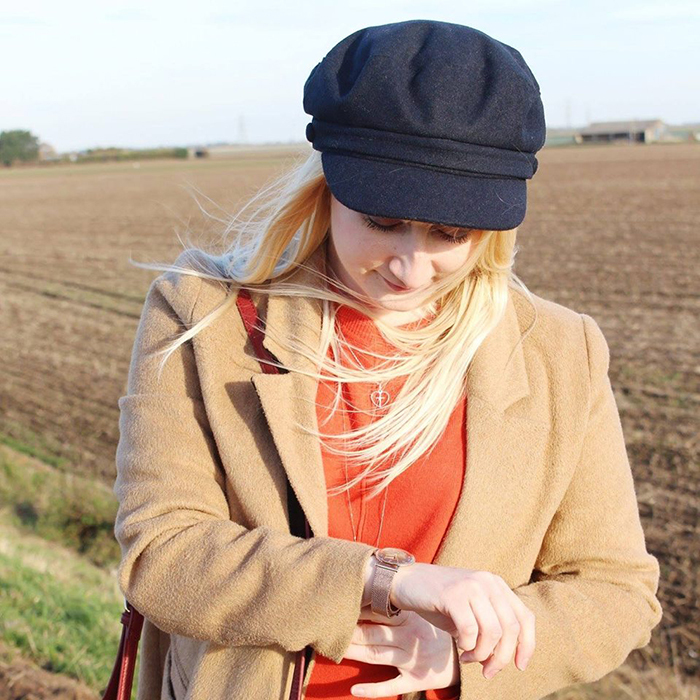 As I have the contraceptive implant (I’m going to be doing a post on this real soon) sometimes my period can suddenly decide to occur anytime it wants to! 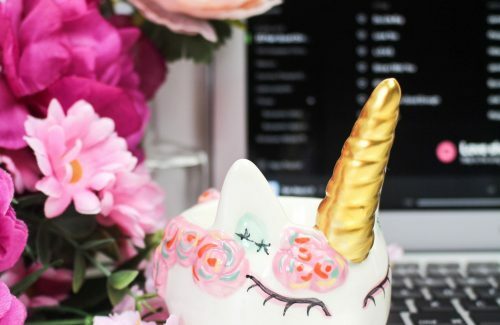 Sometimes it can be more regular and happens monthly, but sometimes I can go weeks without having a period, and then when it does come, I’m not prepared! So to have this box is so great. I’ve taken a few photos below of what you get included in the box. 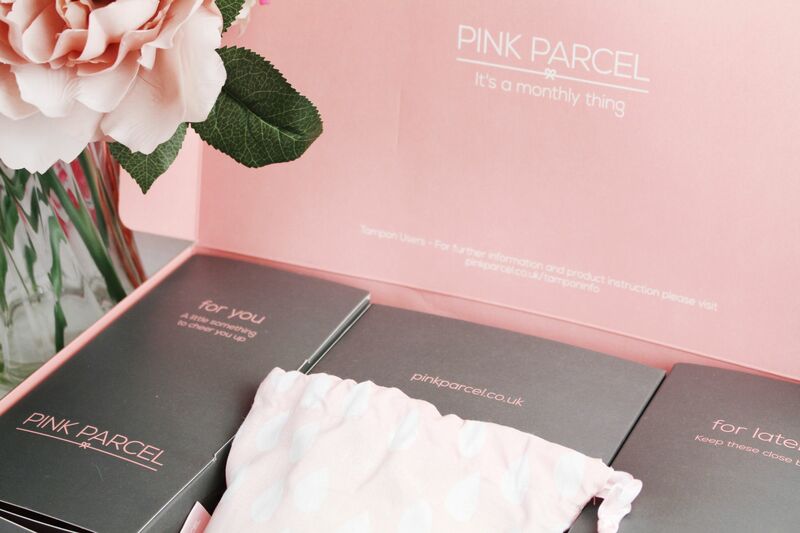 Pink Parcel is the UK’s No 1 period subscription box and you can get over £40 worth of femcare and beauty products each month delivered straight to your door. You can choose to have either tampons or pads or a mixture of both. I received a mixture of both in my box. The tampons and pads are from very well-known and trusted femcare brands, such as Tampax, Always and Bodyform. 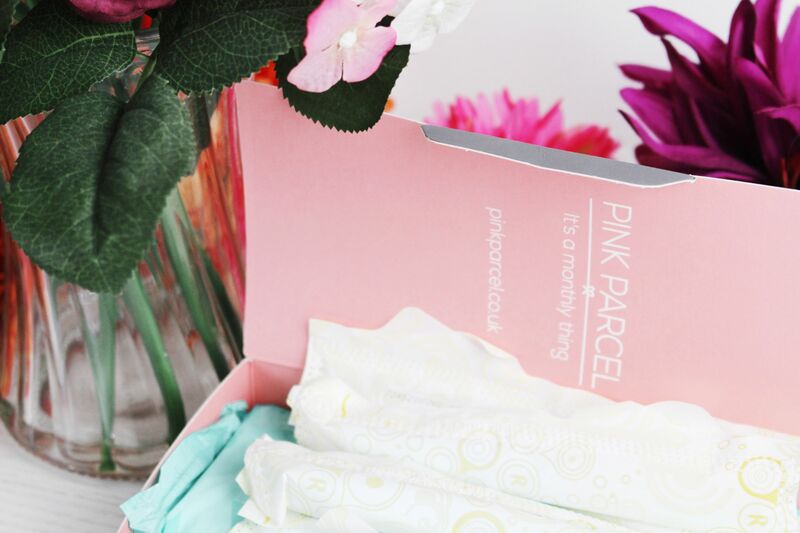 The Pink Parcel box is just £12.99 per month plus free delivery and along with your chosen essentials, you also get 5 liners and 5 night pads. You can also cancel anytime. Inside the box is separate compartments in smaller boxes with a little description on the front of each one and underneath, to say what each one is for. 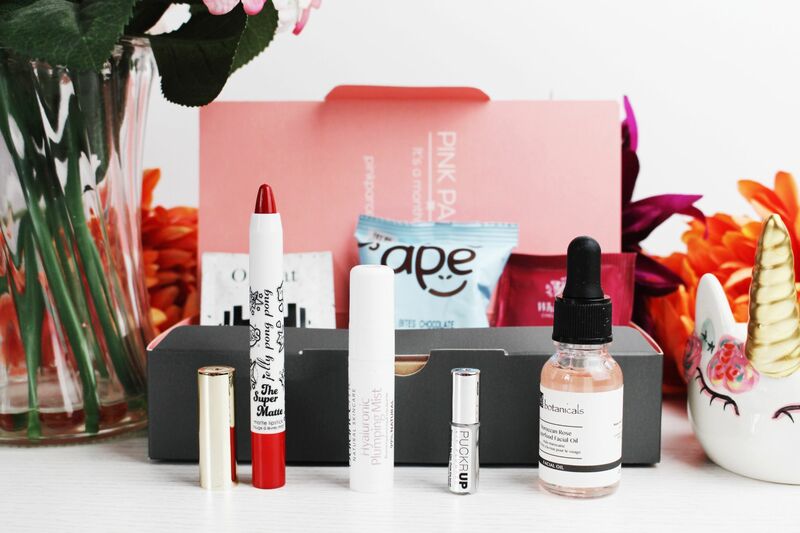 The First inside is labelled ‘For You’ and this box contains little treats and beauty products. 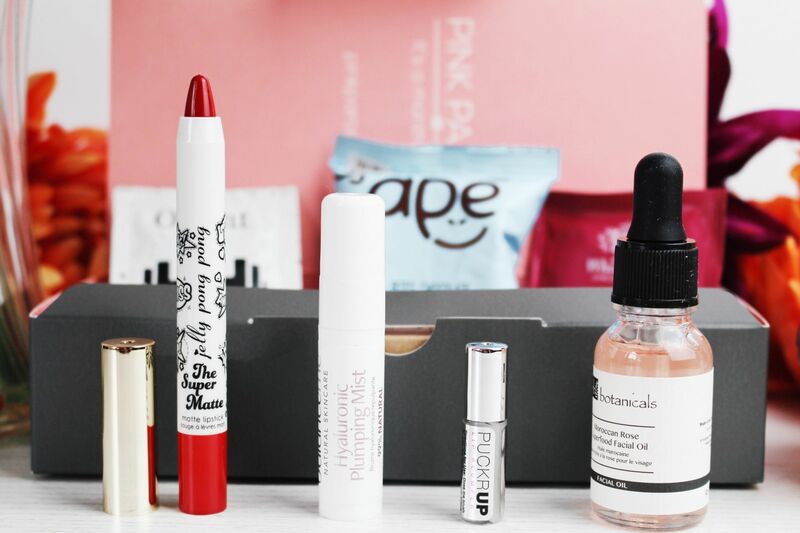 Partners include Nails Inc, REN, Balance Me, L’Occitane, ModelCo, Ombar, teapigs, Pukka and Montezuma’s. The next box is labelled ‘For Night’ and this one contains the night pads which I mentioned above. 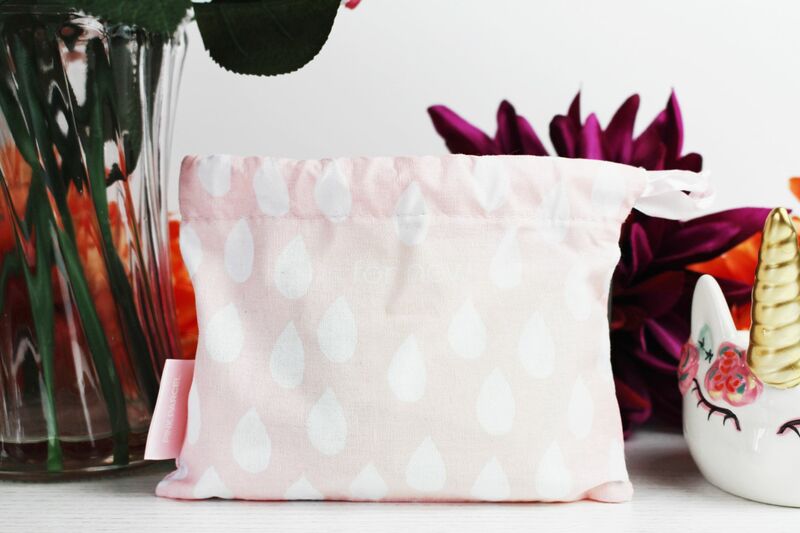 The Third is actually a super cute pink drawstring bag, which is labelled ‘For Now’ and contains the liners and also some tampons. The last box is labelled ‘For Later’ and contains tampons and pads. 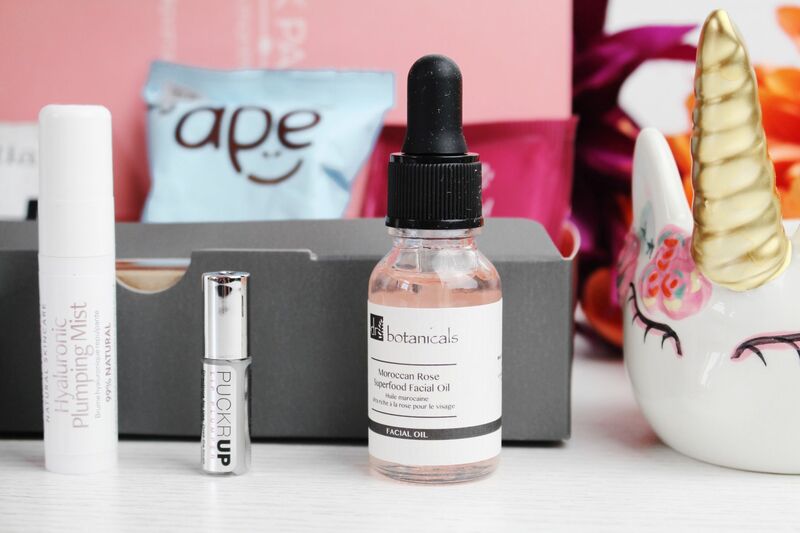 As you can see in the photos above and some of the ones below, are the beauty products and other items I received in my ‘For You’ box inside. 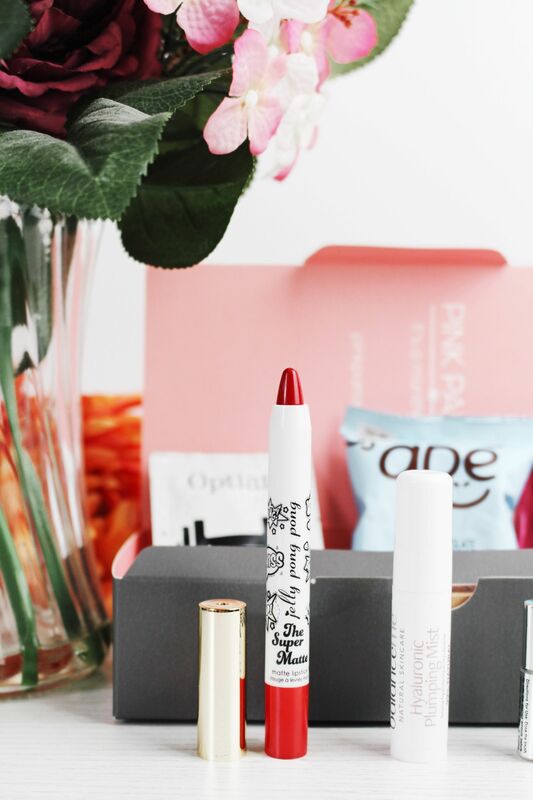 The first item I got inside is this gorgeous red matte lipstick by Jelly Pong Pong. It helps to rejuvenate and moisturise the lips and contains cucumber and dragon fruit. It’s just so pretty! I also really love the packaging it comes in too. 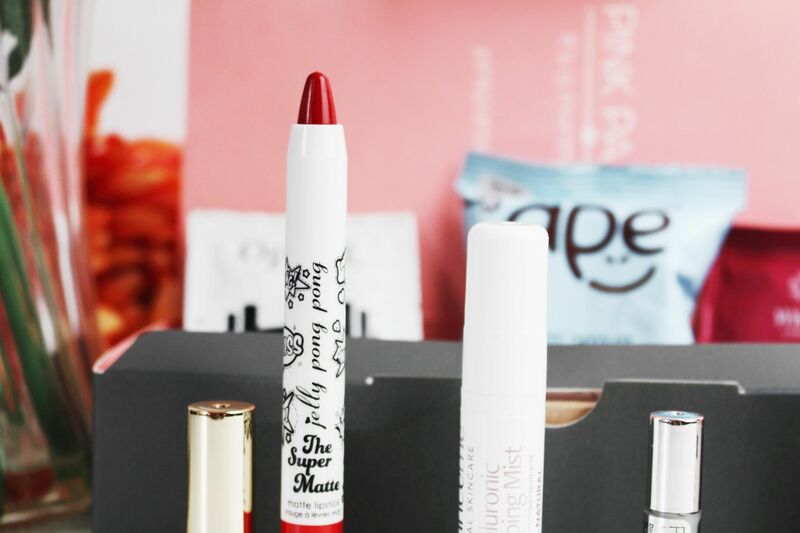 I haven’t tried any beauty products by this brand before, so I can’t wait to try it. The next item I received is the Balanceme Hyaluronic Plumping Mist, which is 99% natural and provides an instant shot of hydration. It says that it helps to calm and brighten sensitive irritated complexions. The next item I got is this cute little Puckerup Lip Plumper. 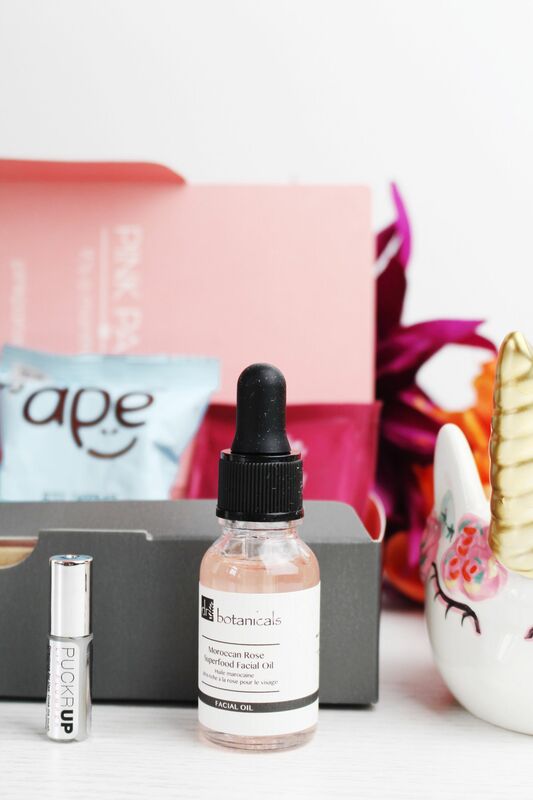 I also got a Dr Botanicals Moroccan Rose Superfood Facial Oil, which I am super excited to use. I’ve also just realised that it is made in Peterborough, which is just up the road from me! It contains almond oil and vitamin E. I got a mini pack of Ape Crispy and Crunchy Coconut Snacks. I got chocolate flavoured ones! I was so excited that I got these, as I had some quite some time back and I really enjoyed them. They are so good. They are also dairy and gluten free. The last two items I got in my ‘For You’ box is an Optiat Pick Me Up Coffee Scrub, which also has Lemongrass in it too. And lastly, I got a Whittard English Rose tea bag, which sounds delicious. 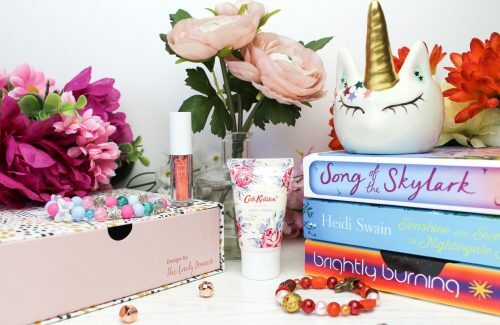 As you can see you get lots of lovely items inside your box, along with the tampons, pads and liners. 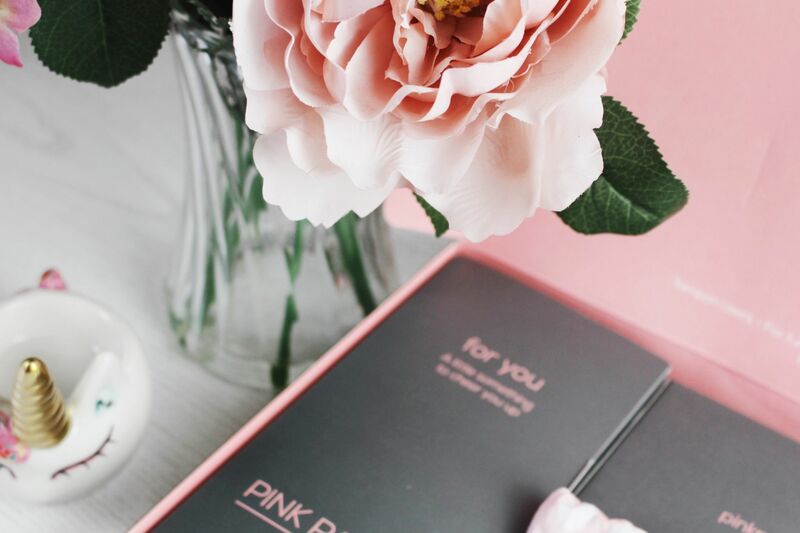 All you need to do is visit Pink Parcel and click the ‘join now’ button. Next, choose which subscription you want. Then you can choose which brand of tampon/pads you would like and if you would like them with wings. Lastly, you just pop in your details and you can choose a delivery date to coincide with your monthly cycle. Below you can see how the box compartments come inside the main box itself. There’s also a pic of the super cute pink drawstring bag that you get too. Overall I love this box so much. I give it 10 out of 10. It also couldn’t have come at a better time, as it’s currently been my time of the month!